Sabrina is currently working as a UX researcher in an agile team at Ministry of Justice in London. Before this she has been working at Shop Direct in Liverpool, the UK’s second largest online retailer. 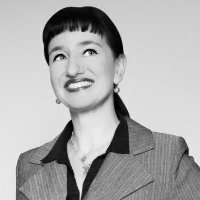 Sabrina has studied Psychology at Humboldt University in Berlin specializing in Engineering Psychology and Cognitive Ergonomics. In 1999, she founded one of the first usability agencies in Germany, eye square, combining user & brand research. She conducted international user research projects, shopper research and ad effectiveness research, using eye tracking and neuro methods. In 2015, she moved to the UK and worked in London at ThoughtWorks.